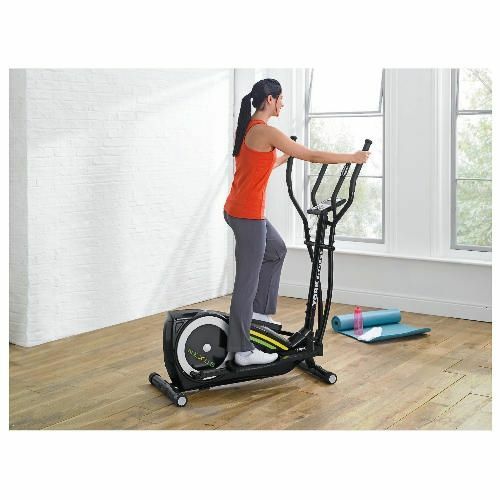 The York Nexus cross trainer is a home workout tool featuring stylish design with high gloss black finish, which not only looks great, but also allows working out different groups of muscles without the impact of running or jogging. The cross trainer provides 16 levels of magnetic resistance with one touch buttons. 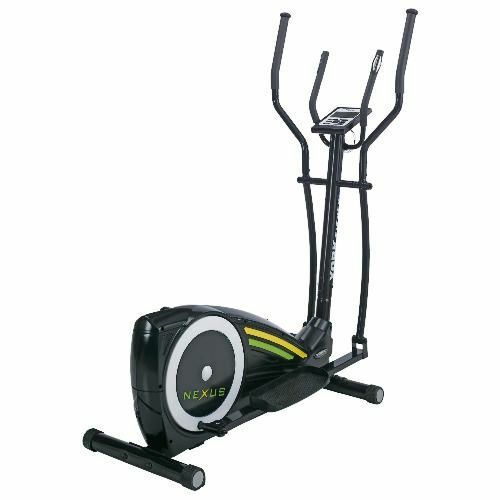 The flywheel weighs 4kg; with a 34cm stride length and max user weight of 125kg, this elliptical will work perfect for most users. It offers 23 different programmes, including hill climb, fat burn, intervals, 4 user defined programmes, 5 that use the heart rate to control the workout, and a programme that calculates the body fat, BMI and BMR. The programmes can be mixed to make the workout is more interesting and highly motivating. The electronic console is easy to operate, has a large LCD display window, and provides feedback on time, speed, distance, calories, pulse, RPM, body fat, BMI and room temperature. Hand pulse sensors enable wireless heart rate measurement. Transportation wheels allow the user to move the cross trainer around more easily. 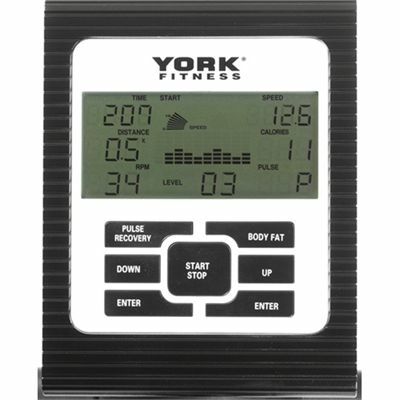 for submitting product review about York Nexus Cross Trainer.